Survival 101! The Do's and Don'ts of any Boat Show! : Atlantic Yacht & Ship, Inc.
As the 2018 Palm Beach International Boat Show approaches this week, we are here to give you, Survival 101. The Do’s and Don’ts of any boat show! 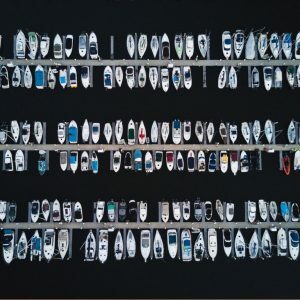 Whether you are an avid boater or attending the show for a family fun day, this knowledge is helpful!The boat show consists of miles and miles of walking. DO wear comfortable and easily removable shoes! In order to board any vessel, most companies will inform you to remove your shoes before entering. These vessels are for sale, have been maintained and cleaned constantly throughout the show. DON’T walk on the vessel with your shoes. Although you will be getting on and off boats, you will be exposed to the sun for an extended time. DO remember your SPF and to reapply midday. H2O is your friend! DO stay hydrated throughout the day to avoid heat stroke. DON’T bring your drinks on to any vessel. DO keep your cell phone somewhere safe. DON’T text and walk on the docks. People have walked right off the dock because they were not paying attention. The same goes for your children! Keep them close to you and away from the water. Check our Events Calendar for more details on the 2018 Palm Beach International Boat Show. Atlantic Yacht & Ship, Inc. will have vessels displayed on Ramp 2. We hope to see you there!